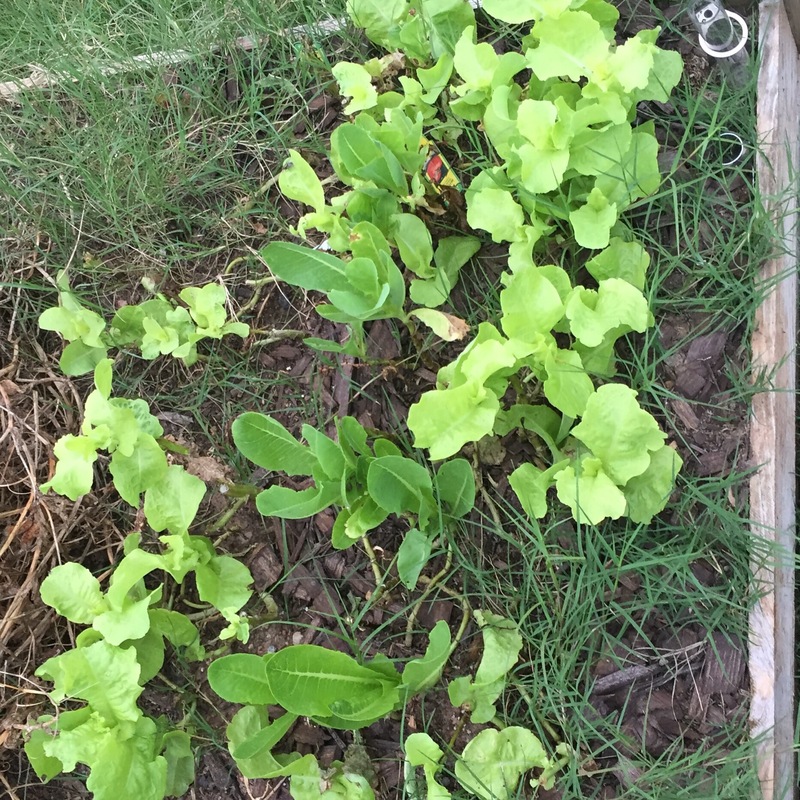 Now in my second season of gardening in central Texas, the adjustment continues for me and my little patch. The weather and the bugs (not necessarily in that order) are the biggest contributors to my frustrations, although admittedly, those levels are lower than last summer. The tomatoes are doing pretty good, too. I have more than I can eat, an improvement from last summer. 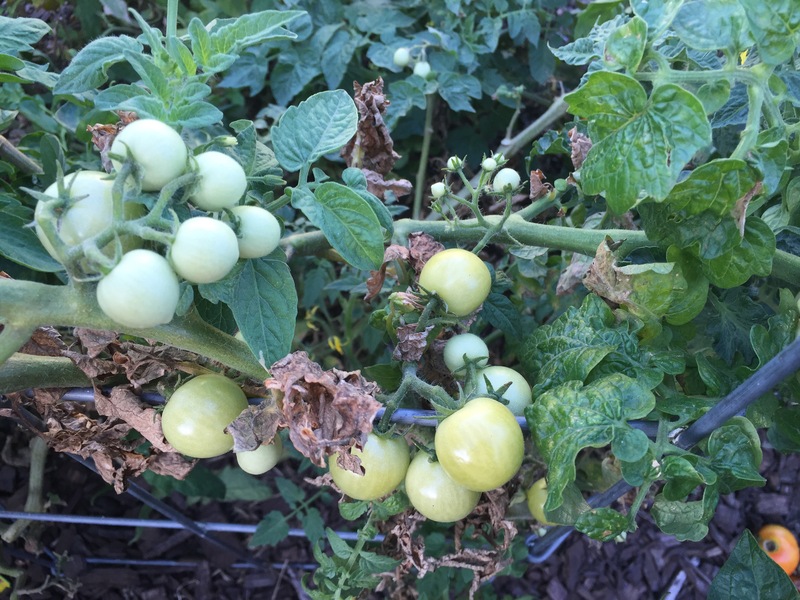 I tried a bunch of different varieties this year, but I moved them around so much that I don’t remember which tomato is where. They’re all pretty tasty, so I guess it doesn’t matter, right? I haven’t seen any Leaf-footed bugs on any of my tomatoes this summer, although I did see one on a zinnia the other day. Not sure what’s up with that. Just like last summer, the birds seem to be the biggest problem. I’ve circumvented some of the pecking by picking the tomatoes at the slightest sign of yellow. The birds still are getting too many though and fewer me BLTs makes me unhappy. 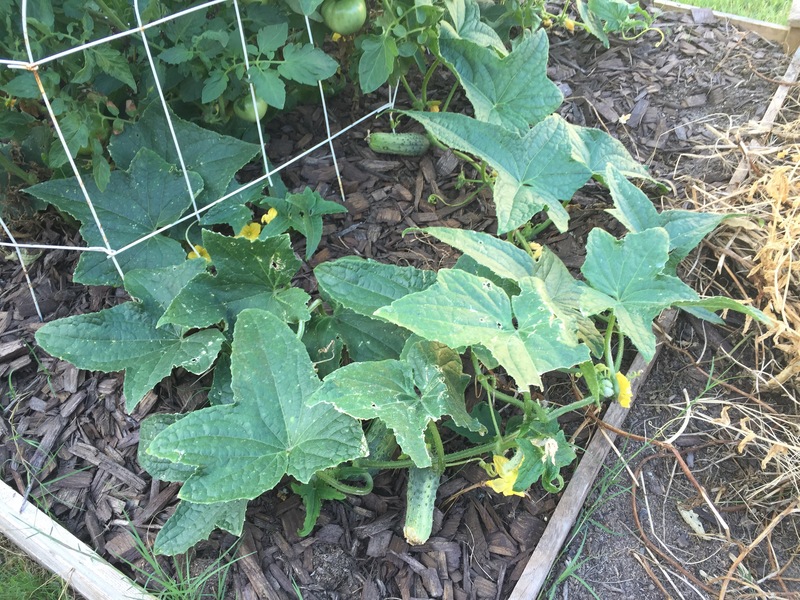 The one cucumber plant that survived a late frost is a pleasant surprise. It’s weaved its way around some of the tomatoes, so I really have to hunt to find the little buggers. But they’re SO yummy! I don’t remember tasting cukes like this since I lived in Wisconsin. Mmm good! You may recall a convo we had a while back on one of your posts about mitigating Bermuda (and how it’s impossible, really). Because of the way the rhizomes and runners grow 6-12″ underground, unlike St. Augustine which runs on TOP of soil. You smother it by placing 18-24″ inches of soil on top of it, but even that doesn’t always work. Hope you’re having a great summer, Julie. I miss your blogging and hope to see you (and me) back at it soon. 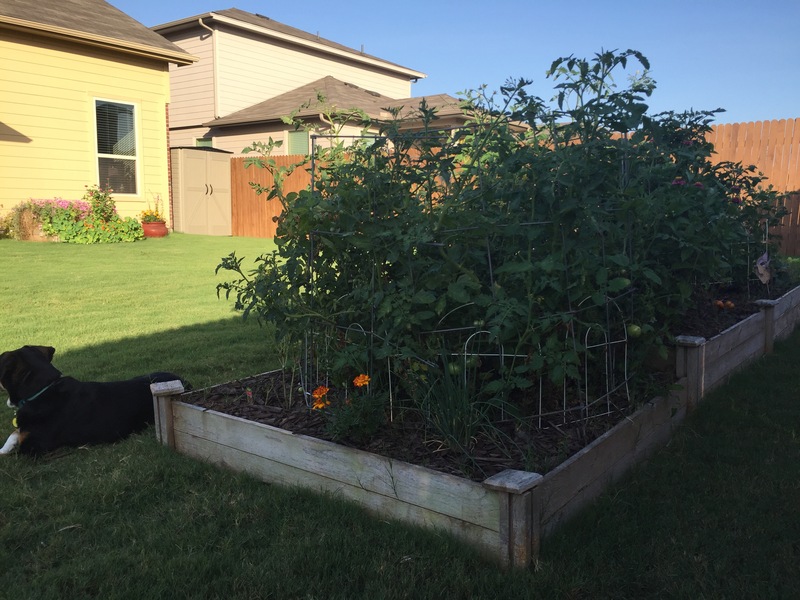 I read from another Texas gardener that he covered the soil around a tomato plant with garbage bags. You can cut a hole in the center for the plant ~ perhaps. Or, use your own method. It kept the soil moist. I suppose you could call it a mini (ad hoc) green house. He said it worked well. Thanks! I’m open to all ideas and less hand watering is always a good thing.